Manuel A. Armada received his Ph. D. in Physics from the University of Valladolid (Spain) in 1979. He has been involved since 1976 in research activities related to Automatic Control and since 1979 to Robotics. 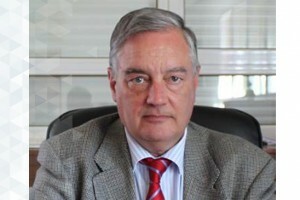 He has been Principal Investigator in more than 50 RTD projects (including international ones like EUREKA, ESPRIT, BRITE/EURAM, GROWTH, ICT, NMP, INCO-COPERNICUS and others abroad the EU, especially with Latin America (CYTED-AECID) and Russia (ESSIDAC EC project and Joint Projects between RAS-CSIC). He has been Director of the Instuituto de Automatica Industrial (CSIC) (2009-2010), and Director of Centre for Automation and Robotics (CSIC-UPM) (2012-2015). He is Professor of Research at CSIC. He also carried out an important activity in several EC Thematic Networks, like CLAWAR. Prof. Armada was the Chairman of the EC TELEMAN Evaluation Panel, reviewer for Foreign Research Agencies and for several EC FPs. Doctor Honoris Causa by the State Technical University (Moscow), Prof. Armada has been presented with the IMEKO TC17 Award, three times with the CSIC Distinguished Award, and represents the Spanish Government to the International Advanced Robotics Programme (IARP). Prof. Armada published over 50 articles in top scientific journals, and more than 200 contributions to other journals and conferences; owns 20 international patents. His main research direction is concentrated in robot design and control, with especial emphasis in force control and on walking and climbing machines. He is topic editor in chief of the International Journal of Advanced Robotic Systems, IEEE RAS member and serves as reviewer to several other scientific journals. Inverse Kinematics of a Humanoid Robot with Non-Spherical Hip: A Hybrid Algorithm Approach. The independent robot for water sampling. ARTIFICIAL INTELLIGENCE. Vol.3. Pages: 562 - 569. Climbing cleaning robot for vertical surfaces. Industrial Robot. Vol.36. Pages: 352 - 357. IJRR special issue on CLAWAR 2004.
International Journal of Robotics Research. Vol.25. Pages: 821 - 823. Roboclimber the 3 ton spider. Industrial Robot. Vol.32. Pages: 163 - 170. The influence of gravity on trajectory planning for climbing robots with non-rigid legs. Journal of Intelligent and Robotic Systems: Theory and Applications. Vol.35. Pages: 309 - 326. Nonlinearly actuated biped robot leg: Simulation and experimental results. Systems Science. Vol.27. Pages: 59 - 70. Concerning a technique for increasing stability of climbing robots. Journal of Intelligent and Robotic Systems: Theory and Applications. Vol.27. Pages: 195 - 209. Automation and cybernetics: Control of a flexible one-link manipulator. Kybernetes. Vol.25. Pages: 38 - 46. Industrial Robot. Vol.22. Pages: 21 - 24. Environment recognition in welding processes by ultrasonic sensors. Sensors and Actuators, A: Physical. Vol.37-38. Pages: 635 - 638. Design and evaluation of modular robots for maintenande in large scientific facilities. Diseño y Control Reactivo de Robots Caminantes sobre Terreno Natural.